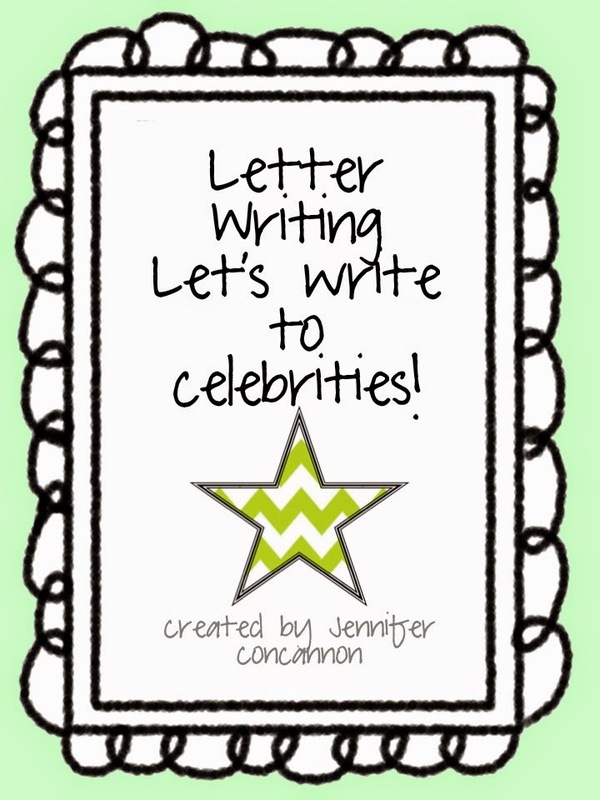 Letters to celebrities are a big hit with my class. I did them towards the end of the year last year and we only got a few replies back during the school year. So this year I decided I would do them right at the beginning. However, it's taken me FOR-E-VER to get this posted, so sorry for that! 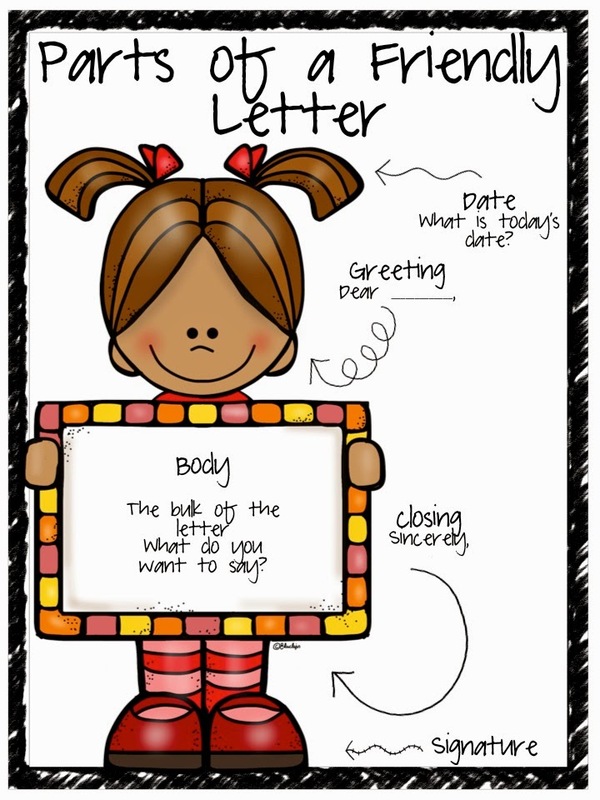 Before we even began out letter writing we had to review the parts of a friendly letter. Kids these days just don't write letters! I grew up with pen pals and loved writing and receiving mail, but it's different now. We talked about the parts of a friendly letter at length. Then they brainstormed some celebrities that they would like to write to. They had to put down what they wanted to write about in the graphic organizer. Most of the kids could easily see which celebrity they were going to write to after completing this task. I had my kids do a rough draft of their letters and they had to outline each of the parts just like the above letter. Then we edited and revised them. 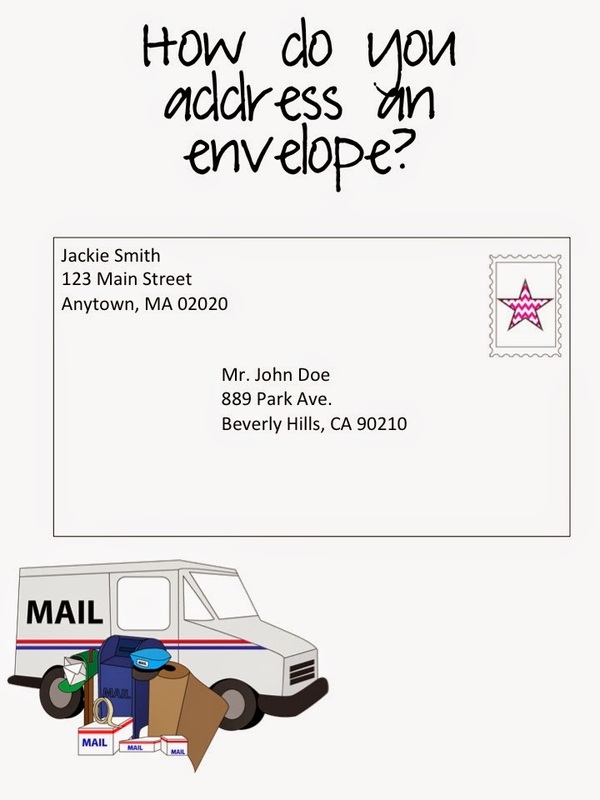 Honestly, the most challenging part of the whole thing was making sure the students addressed the envelopes correctly. I made this example and displayed it on the interactive whiteboard and walked around to make sure they were doing it correctly. They had to do 2 envelopes each. The first envelope is for their letter to be mailed out and the second was a self addressed envelope for a reply (hopefully!). I had to Google the addresses. My kids loved this assignment! We heard back from so many celebrities! Jennifer Lawrence, Ally Raisman, Princess Kate Middleton, some authors, and some bands replied as well!!!! It was so fun to check my mailbox at school and see a package in it for one of my students! You should definitely try this with your class! Hopefully you will get great results as well.